POP Contributors - POP GOES THE WEEK!! Brian Balthazar is Editor of POPgoesTheWeek. For more about him click HERE. Or visit BrianBalthazar.com. What is there to know about Chris Siretz? Well, he’s a bit of Bethenny Frankel, mixed with a dash of Dorothy Zbornak, tossed together with some Chandler Bing. Always wanting to be a Karen Walker but stuck as a Will Truman, Chris and the term “workaholic” have become synonymous. Chris first followed his passion for pop culture to an internship at “The Wendy Williams Show” back in 2011. That internship turned into a career, when Chris was hired as the Assistant Art Director in 2013. Staying true to his workaholic tendencies, Chris excelled at his position, which led to a promotion to Associate Art Director in 2015. 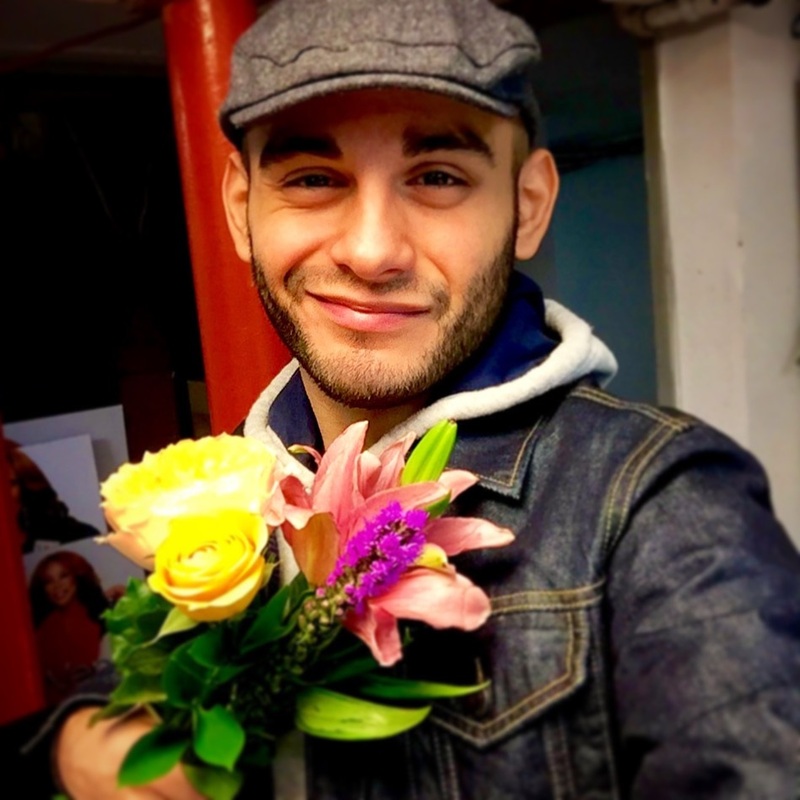 While at the Wendy Show, he has become most well known on social media for his “FOTW” or “Flowers of the week.” His floral arrangements are those that sit next to the show’s host. Aside from being mistaken as the show’s florist…Chris is also known for his appearances in front of the camera. During the holiday season you may have seen Chris dressed as a gift giving reindeer or nutcracker. Chris’ time at the Wendy Show has also afforded other opportunities. He has assisted in the design of other television shows such as the “R&B Divas: LA Reunion,” the “R&B Divas: Atlanta Reunion,” and “Driven to Love.” He has also assisted in the design of several web shows such as PeopleTV’s “Couch Surfing,” “Mamarazzi” and “Fan Forum: Survivor.” He has also dabbled in designing for live performance by assisting with Cyndi Lauper’s most recent world tour, the “Detour Tour.” Chris is also passionate about fundraising for the charity Broadway Cares/Equity Fights Aids, and has assisted in prop making and show concepts for “Broadway Bares” and “Fire Island Bares” for several years now. Part of a shameless plug, Chris would also like it to be known that he is an artist and has taken to painting over the last few years. His work can be seen on his social media pages as well. As a pop culture enthusiast, Chris obsesses over the doings of reality tv stars (especially housewives), the music industry, and the Broadway community. He believes Ross and Rachel WERE on a break. The dress was blue and black. And “Grease 2” never got the accolades it deserved. Oh, and if stuck on a deserted island with only one choice of food for the rest of his life it’s a toss up between Cool Ranch Doritos and Tropical Trail Mix. Michael Jayson is the entertainment editor and movie reviewer for POP goes The Week! Despite his serious expression here, he’s usually got a smile on his face, for reasons he never fully explains. We’re a bit suspicious. Michael is also an actor and musician. He’s actively involved with the famous Upright Citizens Brigade, and has performed many of his 30 or so original songs all around New York City and Long Island. Also – follow him on twitter! @MrMichaelJayson!